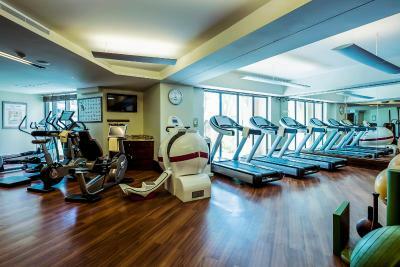 Lock in a great price for Palace Downtown – rated 9 by recent guests! Location is GREAT! 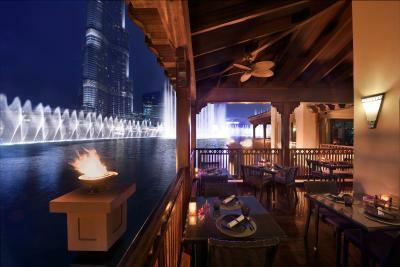 Just steps away from Dubai Mall & Burj Khalifa. Wonderful staff (I got early check-in at 7am). Very helpful and polite. The room has double doors so there's no noise. 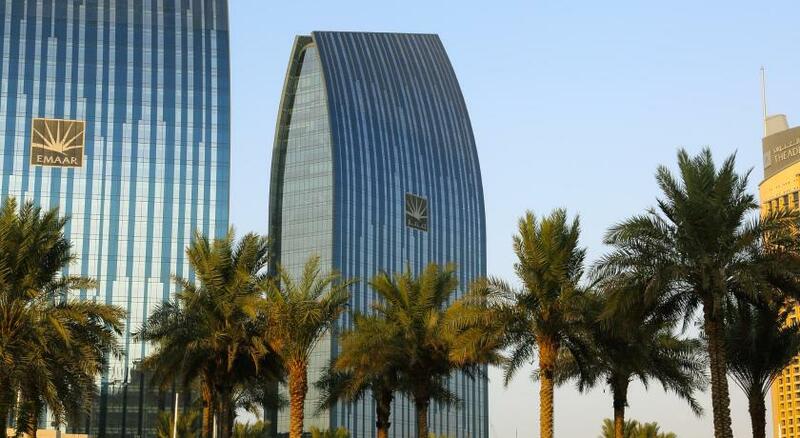 The support of the staff and supervisor to deal with my case and special thanks to the reception guy Yousef and the manager Santosh for their support and flexibility. 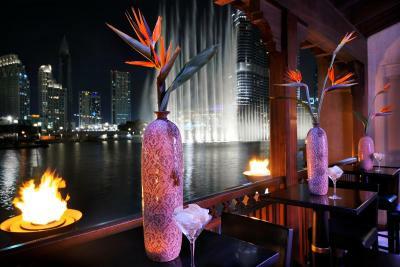 Location was great .. walking distance from Dubai mall .. lovely view from the terrace on the dancing fountains. 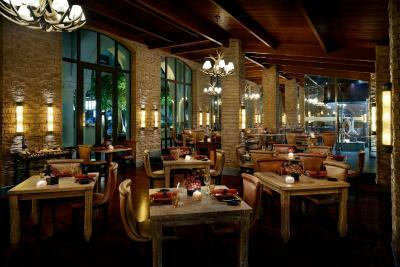 Great staff, nice food options on-site and also around the area. Central location. Extremely clean and comfortable rooms. 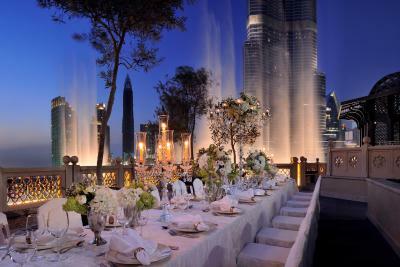 .Everything was just perfect👌 The suit was beautiful, the view of the fountains was breath taking. The breakfast was excellant l cant wait to go back 😍 I would like to Thank Hawraa (training) for welcoming us & giving us all the Information we need. Palace Downtown This rating is a reflection of how the property compares to the industry standard when it comes to price, facilities and services available. It's based on a self-evaluation by the property. Use this rating to help choose your stay! 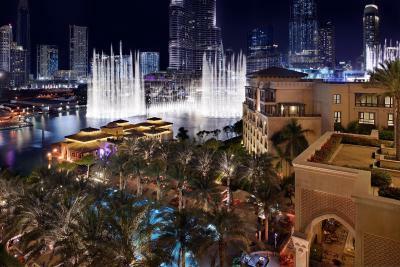 Set in a traditional palatial residence, Palace Downtown overlooks Dubai Fountain and the lake surrounding Burj Khalifa. 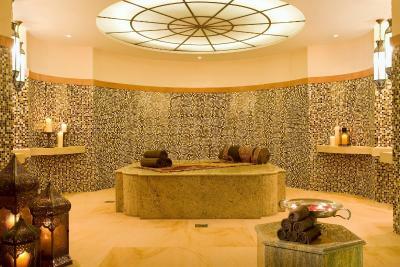 It features an Arabian-style spa and a gym with personal trainer. The guest rooms of Palace Downtown hotel are decorated in a contemporary Middle Eastern style and offer balconies and luxury bathrooms. 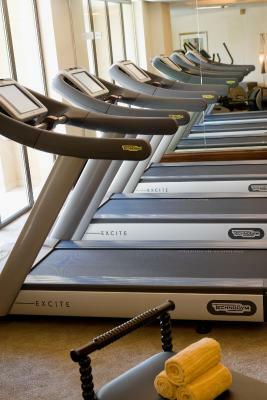 All rooms are equipped with an interactive TV system, DVD player and free WiFi. 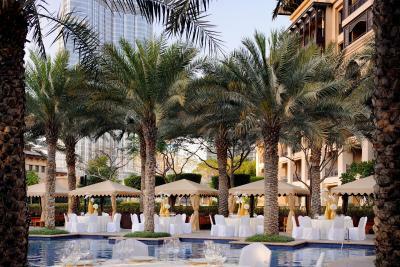 Leisure facilities at Palace Downtown include a palm-fringed outdoor pool and the spa offering facial and body treatments. 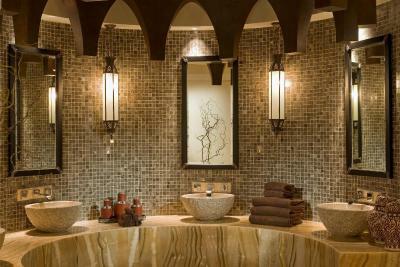 Guests can also enjoy a Hammam, monsoon showers, hot tub and steam rooms. 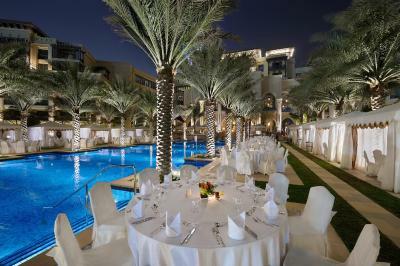 Palace Downtown is located a 5-minute walk from the Dubai Mall and the Souk Al Bahar shopping and entertainment center. 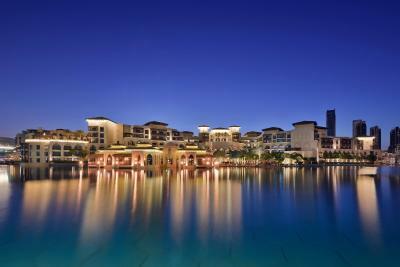 The property offers transfers from Dubai International Airport to the hotel upon request. 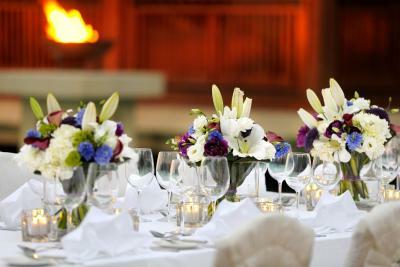 When would you like to stay at Palace Downtown? 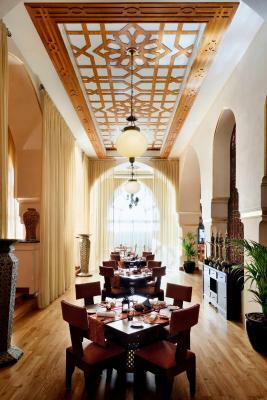 The Deluxe Rooms reflect warmth and heritage in their Arabian decor. Every room has its own private bathroom. 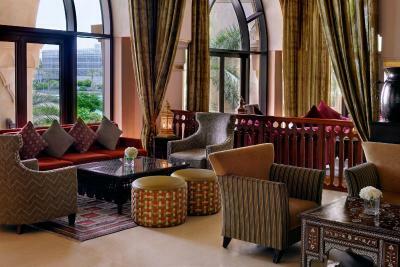 Spacious room featuring Arabian-style furnishings and views of the lake. It also includes a fully-automated in-room iPad. Bedding preferences are subject to availability at time of check-in and cannot be confirmed in advance. 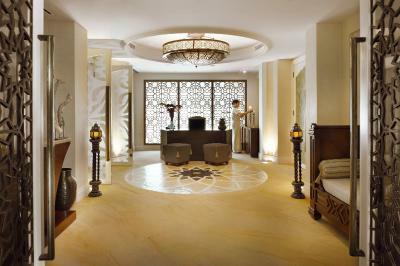 The exclusive Diplomatic Suites are a pure expression of Arabian opulence. Every suite has a separate living room, a spacious bedroom and a guest bathroom, and is complemented with rich drapery, flamboyant accessories and a spacious private balcony. It has a king-sized bed only and a fully-automated in-room iPad. Please note that one child under 12 years old can stay for free in an extra bed. 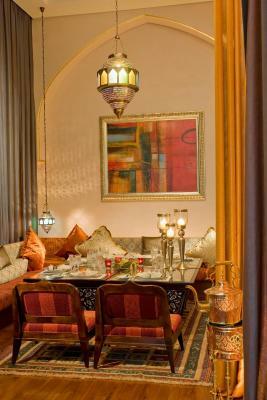 Our Deluxe Rooms reflect warmth and heritage in their Arabian decor. Every room has its own private bathroom. 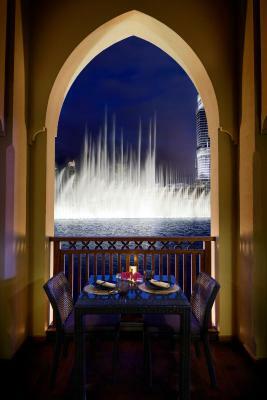 Spacious room featuring Arabian-style furnishings and views of the largest fountain in the world, the Dubai Fountain. This room includes a fully-automated in-room iPad. Bedding preferences are subject to availability at time of check-in and cannot be confirmed in advance. Please note that this room cannot accommodate extra beds for adults. 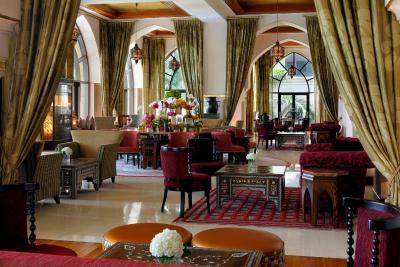 Luxurious drapery and flamboyant accessories give the Palace Suites a distinct and sophisticated Arabian ambiance. The spacious bedroom is warm and inviting. 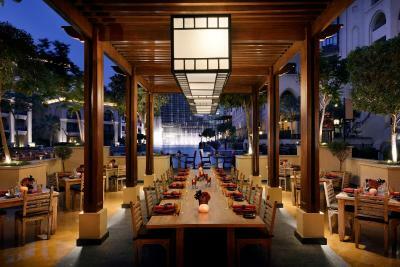 The separate living room is elegantly furnished and comes with an attached guest bathroom. 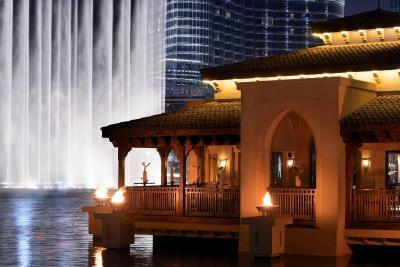 Spacious suite offering free airport transfers and views of the largest fountain in the world, the Dubai Fountain. 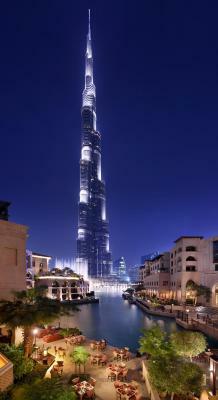 It has a king-sized bed only and a fully-automated in-room iPad. Please note that one child under 12 years can stay for free in an extra bed. - Return Transfers from Dubai International Airport, Standard Meet & Greet service upon arrival to Dubai International Airport (Terminal 1 & 3) . - 24 hours check in check out facility. 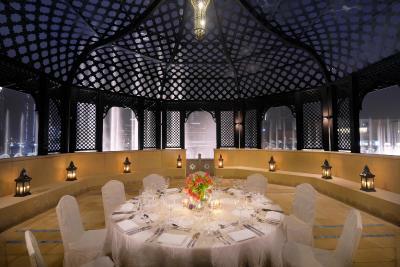 The Palace Rooms feature Arabian decor and an ambiance that conveys warmth, heritage and luxury. 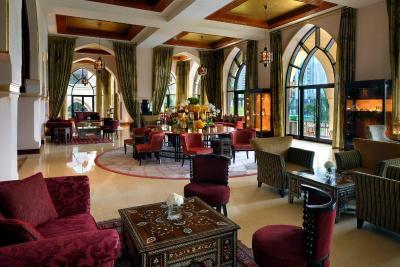 Every room delivers the highest quality of furnishing and design finishes in an elegantly styled setting.This air-conditioned room features an Arabian decor and includes access to the business center. 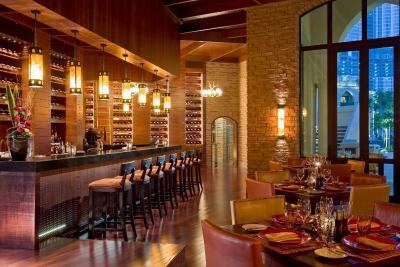 It offers a seating area with a mini-bar. 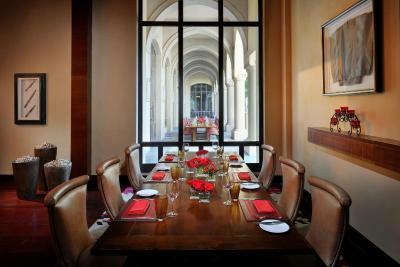 The Imperial Suite truly is 500 square yards of decadence. 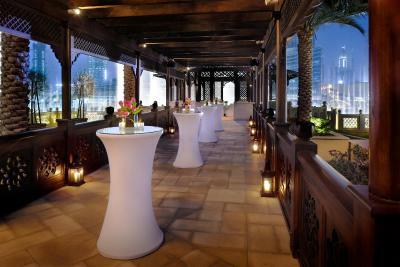 Nestled on the top floor, it offers a generously proportioned and luxurious setting from which to discover Dubai. The Suite unfolds across two floors featuring four spacious bedrooms with King or Queen beds, four living rooms, a pantry and Jacuzzi. 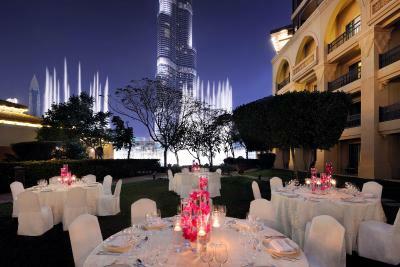 The pinnacle of opulence, this magnificent suite features two large terraces overlooking Burj Dubai and Dubai Fountains. For those traveling with children, we offer a complimentary bed for children under 12 years. -Return Transfers from Dubai International Airport, Standard Meet & Greet service upon arrival to Dubai International Airport (Terminal 1 & 3) . 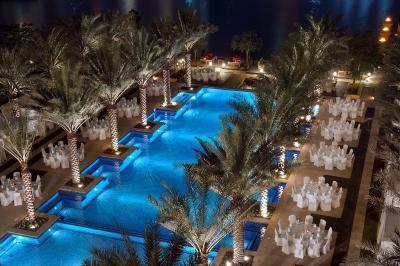 The lavishly decorated Palace Suites with lake views unite Arabian heritage and contemporary living. 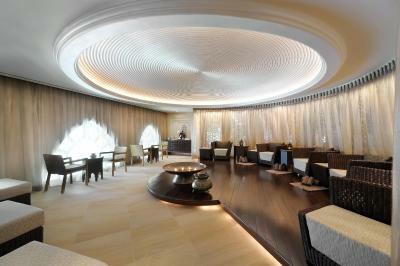 The separate lounge area and attached guest bathroom add privacy, while luxurious drapery and sophisticated interiors make for an opulent experience. For those traveling with children, we offer a complimentary bed for children under 12 years. 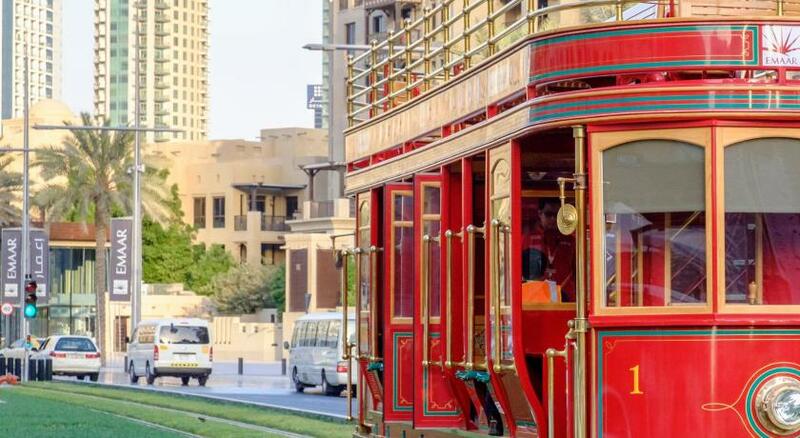 Inclusive of Palace Benefits: Return Transfers from Dubai International Airport, Standard Meet & Greet service upon arrival to Dubai International Airport (Terminal 1 & 3) . 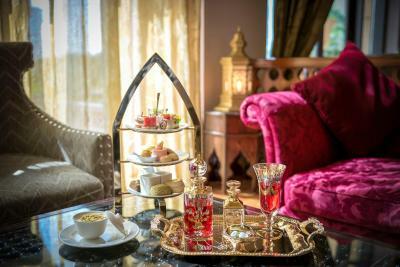 Palace Benefits - Breakfast at Ewaan Restaurant and 24 hours check in check out facility. 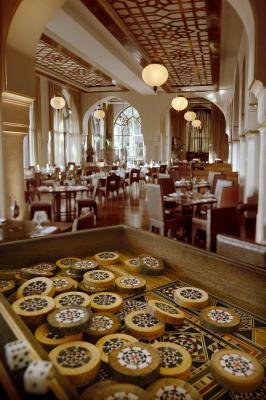 The Palace Rooms feature Arabian decor and an ambiance that conveys warmth, heritage and luxury. 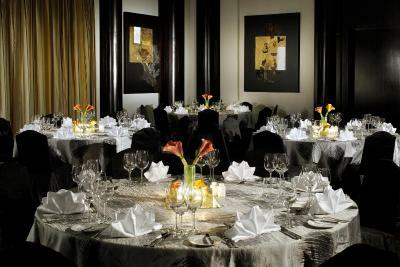 Every room delivers the highest quality of furnishing and design finishes in an elegantly styled setting. This double room has a balcony, electric kettle and seating area. 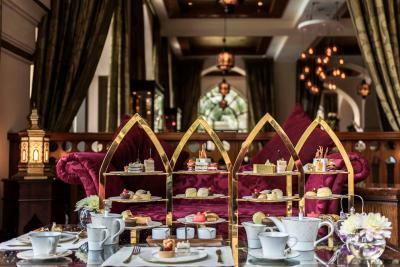 The Royal Suites embody a distinctive art de viver and a grandeur that befits royalty, and stays true to the hotel’s Arabian heritage. 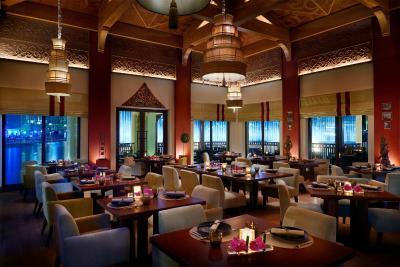 With their rich colors, regional textures, and iconic furniture, the interiors are like a vision from the enchanting 1001 Nights tales. Special niches have been carved out to create a tasteful setting that’s separate from the bedroom. This suite has a balcony, iPad and electric kettle. 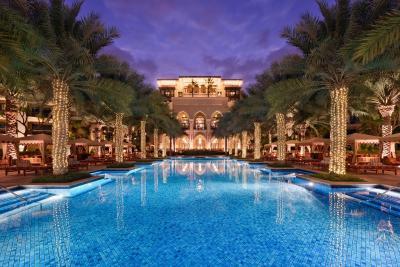 Palace Downtown is a resort within the city, at the heart of a traditional Arabian village, faced with a striking symbol of modernity. 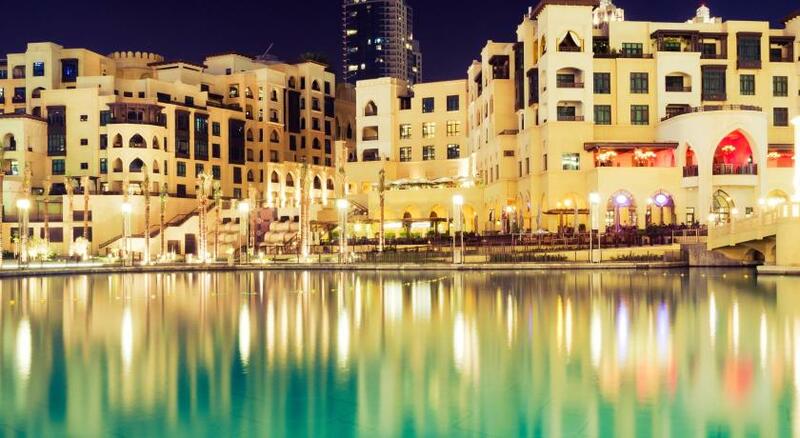 The luxurious hotel is ideally situated in the Downtown Dubai area, within short distance from all major business and financial institutions and leisure attractions. 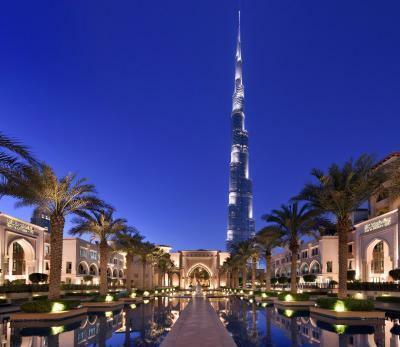 Palace Downtown is directly connected with the Souk Al Bahar, facing The Dubai Fountain and Burj Khalifa, the world's tallest tower, and just a step away from The Dubai Mall, one of the largest shopping center in the world. 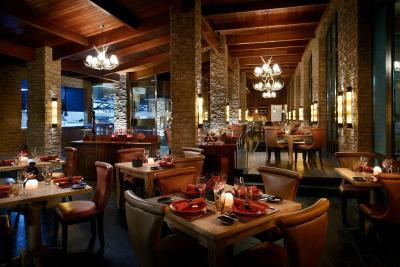 House Rules Palace Downtown takes special requests – add in the next step! Palace Downtown accepts these cards and reserves the right to temporarily hold an amount prior to arrival. 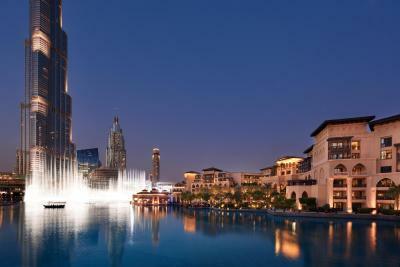 Kindly note that as per UAE law, guests are required to present a valid UAE Emirates ID or a valid passport upon check-in. 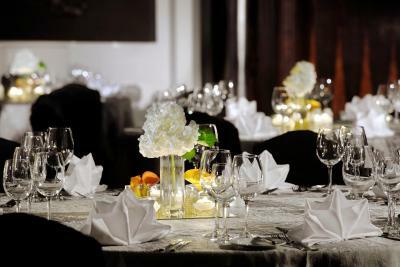 Room seems to be old and need to be relooked, also there was public concert and create noise.